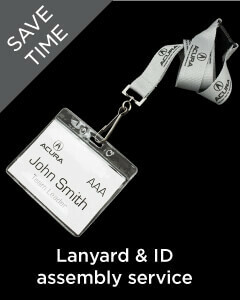 A Lanyard with bespoke ball point pen with a customised DynamicGift high quality lanyard attached with your choice of additional fittings. Ball pen lanyards are those nifty lanyards that nurses wear around for writing patient particulars down without having to run and fetch a pen, While proving to be very handy they are also an excellent promotional item. Red, Blue, White, Black, Yellow, Orange, Pink, Purple. Featured in the best selling line of our products, a bespoke ball pen lanyard can brand your workplace or promote your business with highly effective results. 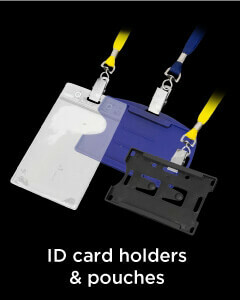 The pen which comes attached to this lanyard is made up of premium plastic and contains two ink refils each having a different colour ink. We can customise the ink colours where you will have an option to choose from eight available shades. 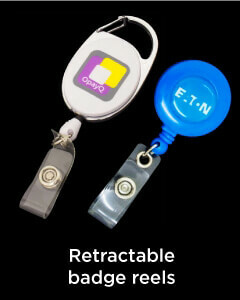 The ball point pen can be imprinted with your promotional details as per your request. You can have your brand name, logo, telephone number, employee name or any other information which suits your company needs. The lanyard in this product is made up of high grade nylon or polyester material and is similar to other lanyards in our inventory. 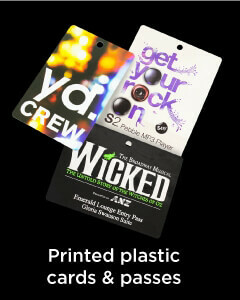 It can be imprinted with your desired text and graphics and will serve its purpose efficiently. These ball pen lanyards are an outstanding product to be used at places like hospitals, work sites and in events like surveys and inspection where a person needs to use the pen instantly, instead of looking around for it. You could also use it for use at your own office and give it to your employees for use. You can give this product to your staff in bulk and ask them to give it away to their friends, family and relatives, so that your message reaches a wide range of people and you can cut short your promotional costs a bit. You can also get this product customised and decorated and use it at a promotional giveaway to publicize your business and brand. With this exceptional product in hand, all you need is to explore the possibilities of using it through your creativity and imagination.